icon_vacationagent Take a deep dive into the company's brands to determine which properties best serve your clients. If you’re a travel agent specializing in Mexico, odds are you’ve booked clients at a Posadas property at one point or another. The company, after all, features nearly 160 hotels and resorts in the country’s top tourism destinations. But if the name sounds only vaguely familiar, it’s because Posadas serves as the corporate umbrella for seven stand-alone brands. “Each of our brands has its own standards, meaning we have from the very upscale to the more economic class,” said Rafael Lizarraga, chief commercial officer for Posadas, adding that brands are oriented to both domestic and international markets. The company plans to add 30 hotels next year, which will include the Grupo Posadas’ expansion of the Live Aqua brand, he said. Lizarraga described Live Aqua as an upscale “modern lifestyle brand” that extends from resort properties to business hotels and is oriented toward the modern traveler. The Live Aqua urban properties in Mexico City and Monterrey operate under the European Plan (EP) and feature cutting-edge business services and meeting facilities, while the Cancun and Playa del Carmen properties are all-inclusive. All are geared toward an adults-only crowd seeking luxury and sophisticated design. 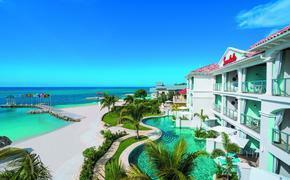 Sample rates at the all-inclusive Live Aqua Beach Resort Cancun start at $225 per person, per night double. Also part of the luxury portfolio, the five-star Grand Fiesta Americana brand focuses on high-touch personalized service. These larger properties feature facilities for both leisure and business travelers and are located in urban settings and coastal resorts—the latter serving as an excellent option for higher-income families and multigenerational travelers looking for beachside getaways. They’re also fantastic for destination weddings that include guests of all ages. The Puerto Vallarta and Los Cabos Grand Fiesta Americana properties are all-inclusive, while the Vallarta is adults-only. Sample rate for the Grand Fiesta Americana Coral Beach Cancun, which operates under the EP plan, is $288 per night in a junior suite. The Fiesta Americana brand also is found in city and resort settings. Steeped in Mexican charm, the properties are warm, casual and friendly. Fiesta Americana’s all-inclusive properties are popular with middle- and upper-income families for their many services, facilities and locations on some of Mexico’s best beaches. They are also good choices for multigenerational destination weddings. 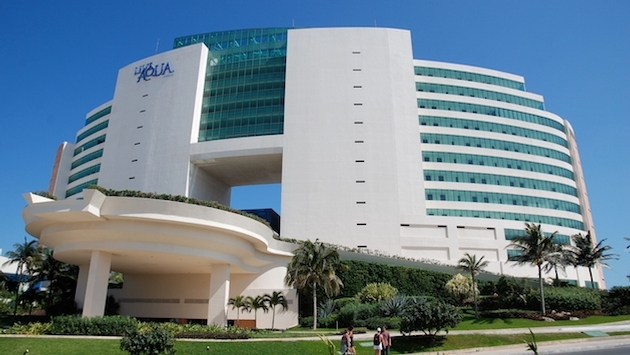 Sample rate at the all-inclusive Fiesta Americana Condesa Cancun is $150 per person, per night, double. Designed with the modern business traveler in mind, these EP hotels offer services such as business centers, meeting rooms and A/V equipment in more than 60 locations, both inland and in resort areas. “These hotels offer a very good price/value relation with concierge services, 24-hour room service, a full-service gym and, in some cases, pools,” Lizarraga said. Sample rate at the Fiesta Inn Cancun Las Americas is $110 per night for up to three adults in a room. The second of Grupo Posadas’ business class brands, Gamma was added in 2014 and provides franchise opportunities for local independent hotels that meet the company’s standards. There are 12 properties in the portfolio. Sample rate at the Gamma Plaza Ixtapa vary from $40 to $79 per night for a superior king room, double. One is the budget traveler’s best friend. The three-star self-serve brand is well suited for clients looking for a no-frills vacation, weekend getaway or business trip. Locations include large cities like Guadalajara and Mexico City or such seaside resorts as Cancun and Acapulco. A sample rate at the One Cancun Centro in Downtown Cancun is $50 per night for a superior queen double room, including breakfast. The second of Grupo Posadas’ lifestyle brand offerings, the all-inclusive Explorean properties in Cozumel and Kohunlich (Chetumal) focus on immersing your upscale clients in their surroundings with such activities as kayaking, visits to ruins and mountain biking, all of which are included in the price tag. Both are recommended for romantic getaways. Families are also welcome. Those with smaller children may prefer the Cozumel property, which features access to the adjacent five-star Fiesta Americana and its kids' club. A sample rate for a king bungalow suite at The Explorean Kohunlich is $385 per night. La Colección Resorts by Fiesta Americana comprises 12 properties divided into categories including Luxury, Bonding, Lifestyle and Active. Properties include Lat20 by Live Aqua Playa del Carmen, Grand Fiesta Americana Puerto Vallarta, Grand Fiesta Americana Coral Beach Cancun, Grand Fiesta Americana Los Cabos, Fiesta Americana Puerto Vallarta, Fiesta Americana Cozumel, Fiesta Americana Condesa Cancun, Fiesta Americana Villas Cancun, Fiesta Americana Villas Acapulco, The Explorean Cozumel, The Explorean Kohunlich and Live Aqua Cancun. Posadas’ recently renamed La Colección Rewards travel agent program offers you the latest information on all resorts, exclusive promotions, incentives, news and resources. New agent incentives include one free night at any resort per booking and 15 percent commission for direct reservations, up from the previous 10 percent. For more information, about agent programs, visit www.lacoleccionrewards.com.